The model LS-10 submersible pressure transmitter has been optimised for simple measuring requirements in level measurement. It offers excellent quality, is cost-effective and reliable. It has been designed to the current demands of the industry and has a 4 ... 20 mA output as standard, an accuracy of 0.5% and PUR cable. 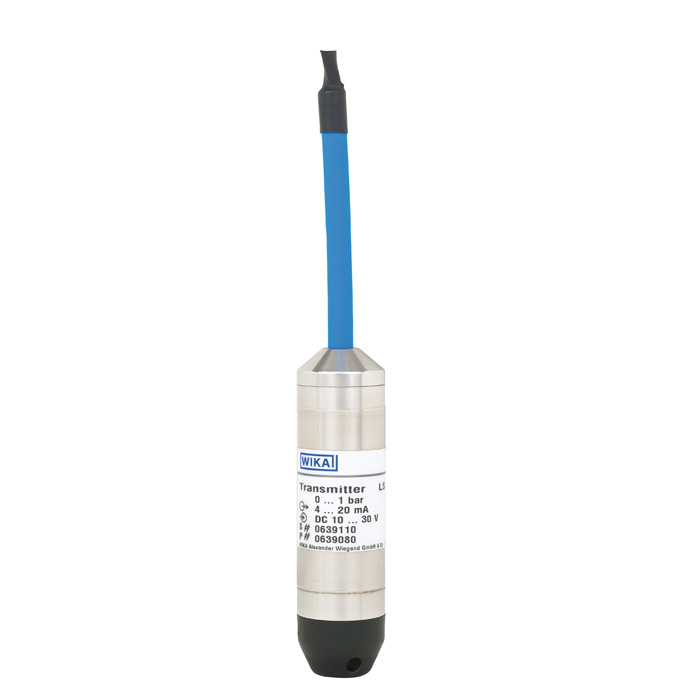 With IP 68 ingress protection, it is suitable for permanent level measurement up to 100 m water column. The submersible pressure transmitter features a hermetically-sealed and exceptionally robust stainless steel case. The proven, fully-welded construction ensures a long service life and permanent sealing. Do you want a deeper insight? Take a look at our information platform.